For example in 2013, smartphone thefts rose to 3.1million in the US and in 2014, 2000 mobile phones were estimated to be stolen per day. In London 314 mobile phones were estimated to be stolen per day of which 50% of the phones are iphones since 2013. All this are well good enough reasons to secure your phone, so i will be sharing with you some top level tips to make your phone more secure and protect important messages,images, files and the likes that you do not want getting to the wrong hands. 1. Software update: Whichever phone you are using be it an android, iOS, or windows phone, BlackBerry OS, i advise you to always update your OS to the latest version available when the update comes for any of the above phone you using. The reason is because new OS updates always come with newly added features and moreover to fix bug or issues related on the latter and add other best features suitable for your smartphone. Most manufacturers of this phones always include the automatic update feature on the phones so always make sure its on at all times so that when an update comes it automatically notifies you. 2. Enable a lock screen: Nowadays, it does not seem okay not to include a well secured lock screen mode even if it has to be a basic password, so just navigate to security settings on your device and enable it. The benefits of having a password code is obvious, pins and pattern locks are some of the best way or using alphanumeric password. Also ensure that any box which indicates show password should not be ticked so the password does not become visible. I also advice to always change your password code as sometimes someone or two might have seen you type it and as such making your phone vulnerable.so always remember to change. 3. Antivirus software installation: Virus poses a great threat to all smartphones which makes it one of the most biggest problem a phone could experience. For android phones which have an open source, they are sometimes vulnerable to virus as malicious apps may be installed on the device without been checked by Google. So its advisable to always install a mobile antivirus like McAfee, AVG antivirus and the likes, and always update the antivirus when an update pops up. Also be careful of the kind of websites you visit as they may contain malicious wares which could be harmful to your device. 4. Disable apps from untrusted sources: For androids,iOS, and Blackberry devices of all types especially the 10 series, always disable any app which signifies an untrusted source as this can make your phone vulnerable too. 5. Lock code apps and vaults: I highly recommend this particularly for protecting vital messages,pictures,and even videos too. With good and available lock apps and vault apps in different smartphone stores this can add another security to your phone because if you have someone who knows your password or your phone manages to get into the wrong hands you be sorry with all your files potentially at risk. Vault apps also protects your phone and makes it safe by storing all files you want to secure within designated area on your device or an SD card. 6. Enable Location services: This feature is less about protecting your phone from being stolen or data stolen but also very much useful about locating your phone should you lose it. Most smartphones do have this feature so always turn it on. For windows phone, log on to windowsphone.com to log in with your details and discover its location on a map by making it ring, display a message, or erase the whole device rendering it useless for whosoever has it in possession. For androids just go to Google play via web browser check the settings and navigate android device manager from there you can locate ring,lock and erase your device if you want. 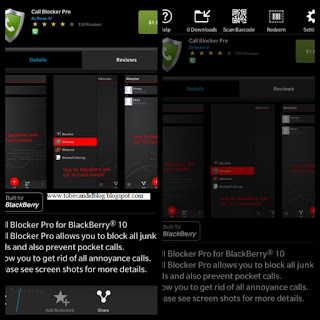 On BlackBerry,blackberry protect tool is needed, though needs to be preset on the blackberry device. And for iphones which i believe everyone knows just use the find my iphone app which is very easy to use and install. 7. Enable SIM lock: Also as an added advantage to your phone security, always make sure you enable the sim lock password if your SIM is important to you. Sim lock also known as sim pin or sim security is important likewise but not necessary,its not the most efficient way to use your phone,but should in case you worried navigate to your security settings and enable it. 8. Keep sensitive files from your phone.Better than encrypting your SD card its better to make sure that you do not have any sensitive files on your phone. They actually might seem having them on your phone as they can be easily be edited and used for what so ever, but still getting a USB flash drive would be better off.